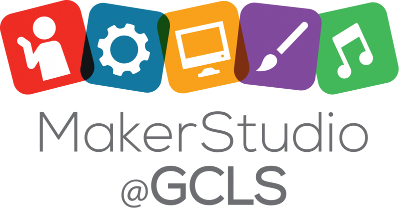 The Gloucester County Library System is the home of an open-access Makerspace, the MakerStudio @ GCLS, the first of its kind in Gloucester County! Watch this guide for updates. Want to get started making in the MakerStudio? 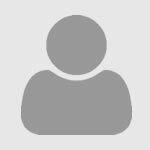 Check out our policies and guides. Check out our guides on how to do a variety of amazing projects in the MakerStudio! MakerStudio@GCLS room in the Mullica Hill branch is the main makerspace geared towards ages 9 through to adults. It houses 3D printers, virtual reality development kits, vinyl cutter, serger machine, Arduino microcontrollers, and much more. DesignStudio@GCLS, outside the main MakerStudio at Mullica Hill, is a space dedicated to music mixing and animation. CreativityStudio@GCLS is located in the Glassboro Branch Library. The space features a 3D printer, animation equipment, virtual reality development kits, and much more. MakerStudio Jr. room is located in the Children's department at the Mullica Hill branch and is designed as a free play area where children under age 9 can imagine, create, and build. Mobile MakerStudio carts can be found at our Glassboro, Greenwich, Logan, and Swedesboro branches. They are geared for ages 5 to adults. GCLS Logan branch has a 3D Dremel Printer & Certification available by appointment. Please call 856-241-0202 or email coldt@gcls.org for more information. Scheduled programs can be found under Logan events at http://www.gcls.org/calendar/logan. Want to use the 3D printer, vinyl cutter, or serger machine? Makers must participate in mandatory safety trainings to use the tools mentioned above. Certification training is scheduled by appointment. Contact us via email at make@gcls.org to schedule an appointment. Are you certified and want to reserve time on the 3D printer? To reserve the 3D printer, use our online reservation system or contact us via email at make@gcls.org. Visit our MakerStudio Hardware & Software page for more information! Text START to (856) 270-7883. A Reference Librarian will respond as time permits during normal business hours. Charges from your provider may apply. Librarian by Appointment is a service that allows you to schedule a one-time session of up to one hour with a member of the reference staff.